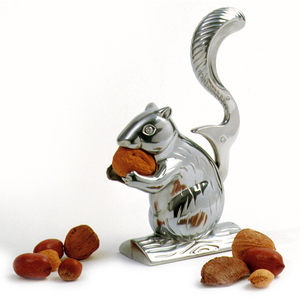 This whimsical, attractive nut cracker will be the talk of any get together. Easily cracks almonds and pecans. Measures, 5.5"/14cm. Made from Heavy Duty Cast Aluminum. A great gift for any outdoor enthusiast. Hand washing recommended. 5.5"